I cannot believe Christmas is coming so soon!!! Today, I would love to post about our awesome Christmas party on 9 Dec. It was ABSOLUTELY FANTASTIC! 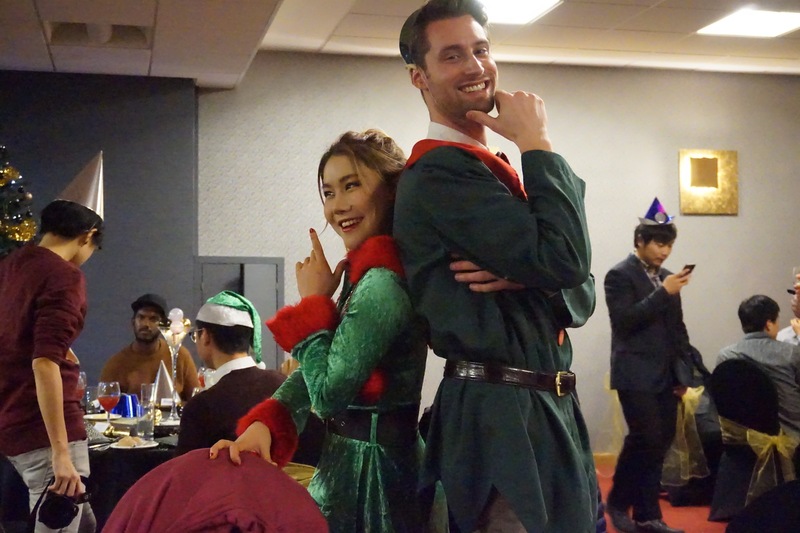 The dress code was ‘elf costume’, the venue was Mitchell Hall and the party started at 6.30pm. Let’s talk about the food! We choose our menus two weeks ago. My choice was goat cheese pie for starter, turkey and veggies for main and Christmas pudding for dessert. The starter was really great! It was much better than what I expected! This was my very first experience of a Christmas party in the UK, so I didn’t really know what Christmas pudding is and…well…. hmm! It was a good experience to find out but no more Christmas pudding for me lol! No more! 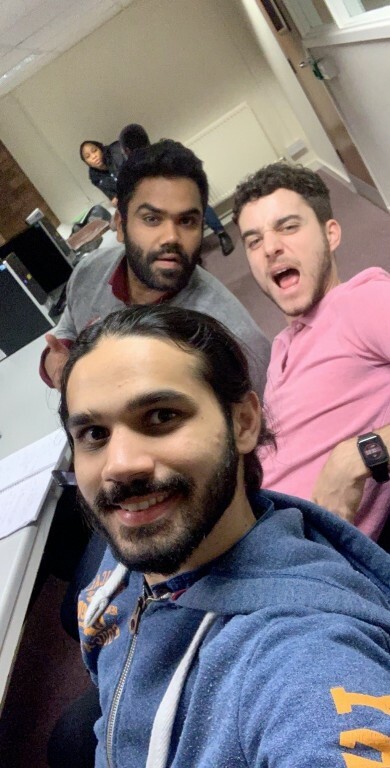 BUT international students, please try once – we are here to experience new things, aren’t we?! Since we didn’t have to pay for music, we were able to allocate more cost for festive mulled wine! After that, we had exchanged secret Santa gifts! It is a shame that I put my name on my secret Santa present – I didn’t know I was not supposed to put my name on the gift. But now I know! I got a manicure from my Santa! I loved it – woohoo! After having dinner, we had dancing time and photo booth time, which was my favourite part. I reckon I took 50 pictures in the photo booth, it was full of fun!